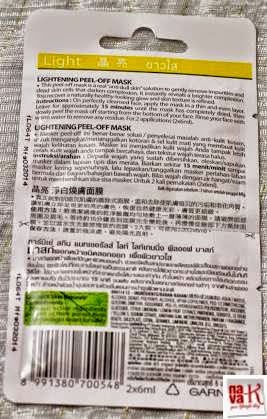 Officially, this Garnier Light Lightening Peel Off Mask is the first ever entry of a face beauty mask in my precious space of nava-k, albeit I have, from time to time been constantly testing out all sorts of masks. Back then, when I was in my twenties till forties, I was accustomed to those creamy or sticky gel masks that are packaged in quite huge tubes or tubs. These were the popular and easily available ones I picked up at pharmacies or drug stores. Affordable as well, and mind you, they can last for more than six months, maybe even more if you use once a week. These masks somehow have taken a back step, though they are still available, nonetheless, with the vast constant and continuous push and pull marketing critical success factors in the beauty industry, we now really don't have to stick to those conventional masks. No, we don't have to, neither I am complaining. 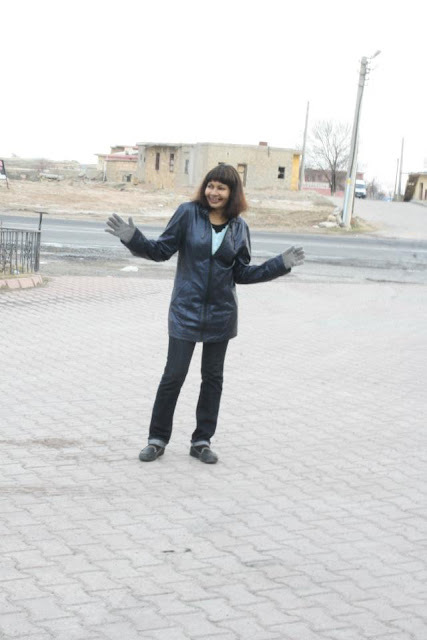 In fact, I can't be more than anything else be elated. Take this Garnier Skin Naturals Light Lightening Peel Off Mask as an example. You use it once and if you not satisfied, that's okay. You don't have to spend RM6.00 again. Instead, you can opt for other types of one-up masks from other brands. Simple as that. Now, comes the interesting and best part of it all. I'm gonna share my experience on this Garnier Skin Naturals Light Lightening Peel Off Mask, thereafter its really up to you to decide if you are gamed for it. My first time trial, nevertheless, Garnier brand by itself is not new to me. I hope you have read my review on Garnier Brightening Eye Roll On? If you didn't, perhaps you should. Lemme now take you up, close and personal towards Garnier Light Lightening Peel Off Mask. 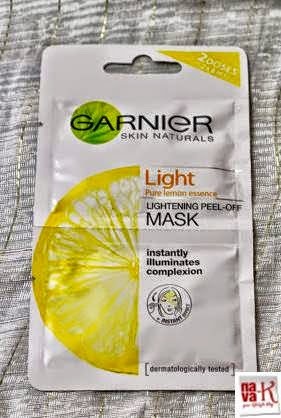 As professed by the marketing brains of Garnier, Garnier Light Lightening Peel Off Mask infused with pure lemon essence potentially will gently remove impurities and dead skin cells, additionally, it will brighten your complexion. How did it go with my sensitive combination skin? Alright. To use, tear the edge of the sachet and scoop this yellow, thick and sticky mask with your finger. Please, if you don't mind, please cleanse your face before applying and also please ensure your fingers are thoroughly clean. Utterly important. We don't want, in the name beautifying, spread germs from our fingers and onto my face? Of course not. Spread Garnier Skin Naturals Light Lightening Peel Off Mask on your face, and for my sake, do not apply it anywhere close to your eyes. Allow it to sit on your face for at least fifteen minutes, by then it should have dried up for you to slowly pull it upwards from your face. Basically, you are removing it (black peel off mask,). Rest assured, as far as I am concern, it shouldn't irritate your skin from the time you apply and till your remove it, its lemony citrusy scent should be a joy to your senses and once you have removed, splash generous amount of water for slowly rubbing off any bit which may be stuck and also for thorough rinsing. What's the verdict from my side on Garnier Skin Naturals Light Lightening Peel Off Mask? Great. It didn't strip away my natural moisture and I did notice my radiant and brighter skin. Nice. Akin a lemony glow, more or less, truly, I am satisfied. However, seemingly it did leave my skin somewhat dry, but that wasn't a major thing once I applied moisturiser thereafter. Will I give a go to Garnier Skin Naturals Light Lightening Peel Off Mask again? Shouldn't be a problem, honestly, I wouldn't mind. Sounds like a product worth trying! Sounds really decent, will buy it today itself..if it's available here!! Garnier is a great product indeed.